South Central Kansas Medical Center's family birthing center understands that every family and delivery is unique. Our highly qualified staff is here to assist you with all stages of the birthing process; providing pre-natal birthing classes, one-on-one nursing care for mother and baby during labor and delivery, postpartum education, and we will continue to answer any questions after baby is home. The birth of your baby is one of the most exciting events you will experience during your life. It is a moment you will always remember. Here at SCKMC, we are dedicated to helping you achieve the most gratifying birth experience possible. We understand the more knowledge you have about the birth process the more confidence you will possess. Our prepared childbirth classes will help you to understand the process of labor and delivery and will answer the questions that surround pregnancy, birth and your new baby. In addition, participants will receive pre-admission services and tours of the family birthing center. Prepared child birth classes are held at the medical center several times through out the year. Click here for a complete class schedule. Each session will consist of four classes. You may register for classes individually or as a complete session. There is no charge for participants who plan to deliver at SCKMC. All others may enjoy the benefits of the class for a $10.00 per class fee. - Final Stretch:Staying healthy and pregnant for 40 weeks, warning signs, and how to prepare for birth. - Pain Management Techniques: Medications, epidurals, and other non-medical techniques for managing labor. - Breastfeeding: Benefits of breastfeeding, skin to skin time, step by step instructions, and tips for success. - Going Home: Newborn care, safety, and taking care of yourself after delivery. Complete all four classes and be entered in a drawing for a newborn prize! Register by completing this form, calling the SCKMC OB Department at (620) 441-5940, or e-mail darcih@sckrmc.org. We pride ourselves on being a pioneer in the state of Kansas for providing the LDRP (birthing suite) approach to our patients. These special rooms allow family to remain in the same room throughout a normal delivery. All of the necessary items for delivery are brought to your room. Your spouse, significant other, or "coach" may remain with you throughout your experience, additional family members may relax in our private waiting area, exclusively for our OB families. Epidural anesthesia is available for any obstetrical patient that requests it, 24 hours a day, 7 days a week. Other types of anesthesia are also available for those not desiring an epidural. After your baby arrives, you and your baby will remain in your birthing suite to recover. All of the items necessary to care for your infant are made available to you. 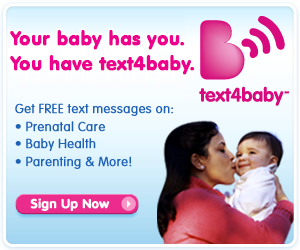 This allows parents to spend as much time as possible with the newest member of the family. Our birthing center team members will provide your child with their first hearing screening, answer questions, and help care for yourself and your baby during your stay. During this time, post-partum and newborn educational materials, including breast-feeding classe, are available to help you get started down the road of parenting. To commemorate this special occasion, all of our birthing families receive a birth certificate, baby's first photo and web posting, handcrafted receiving blanket, and a candle-lit dinner for the new parents. Because the safety of your baby is most important, a state of the art infant abduction security system is in place for you peace of mind. Recently our facility has added a special care nursery that is staffed with professionals trained to care for moderate-to-high risk infants. 1. The attending physician may refuse to allow visitation if he/she desires. 2. Visiting hours are restricted to 1:00 p.m. - 8:00 p.m.
3. Children under 12 years of age shall not be admitted as visitors to the medical center except in the company of a responsible adult. 4. Children under 6 years of age shall only be admitted as visitors to the medical center under special circumstances (i.e. Birthing Center's sibling visitation) or when authorized by the attending physician, the chief executive officer or his designee, or the professional nurse responsible for the unit and/or the patient's care. 5. No person, adult or child, with symptoms of infection will be allowed to visit. 6. Please respect our patient's privacy by always asking for permission before entering a room. 7. The charge nurse has the right to refuse or withhold future visitation if she/he feels there is a risk for infection, or visitation has been abused. Thank you for selecting us during this special time. In advance, we welcome you and your newest arrival and hope that in the future, when you need healthcare, you'll turn to SCKMC first. For more information concerning our OB programs contact us at ob@sckrmc.org or call (620) 442-2500. Together, our knowledgeable nursing staff has decades of experience, and is available 24 hours a day to answer your questions. *Blue Distinction Centers (BDC) met overall quality measures for patient safety and outcomes, developed with input from the medical community. A Local Blue Plan may require additional criteria for facilities located in its own service area; for details, contact your Local Blue Plan. Blue Distinction Centers+ (BDC+) also met cost measures that address consumers’ need for affordable healthcare. Each facility’s cost of care is evaluated using data from its Local Blue Plan. Facilities in CA, ID, NY, PA, and WA may lie in two Local Blue Plans’ areas, resulting in two evaluations for cost of care; and their own Local Blue Plans decide whether one or both cost of care evaluation(s) must meet BDC+ national criteria. National criteria for BDC and BDC+ are displayed on www.bcbs.com. Individual outcomes may vary. For details on a provider’s in-network status or your own policy’s coverage, contact your Local Blue Plan and ask your provider before making an appointment. Neither Blue Cross and Blue Shield Association nor any Blue Plans are responsible for non-covered charges or other losses or damages resulting from Blue Distinction or other provider finder information or care received from Blue Distinction or other providers.